Whatever your level, improve your English with a course that puts you first. Our English courses are student-focused, engaging and, most of all, fun! General English, Exam preparation, Business and specialist English all on offer at a time to suit you. 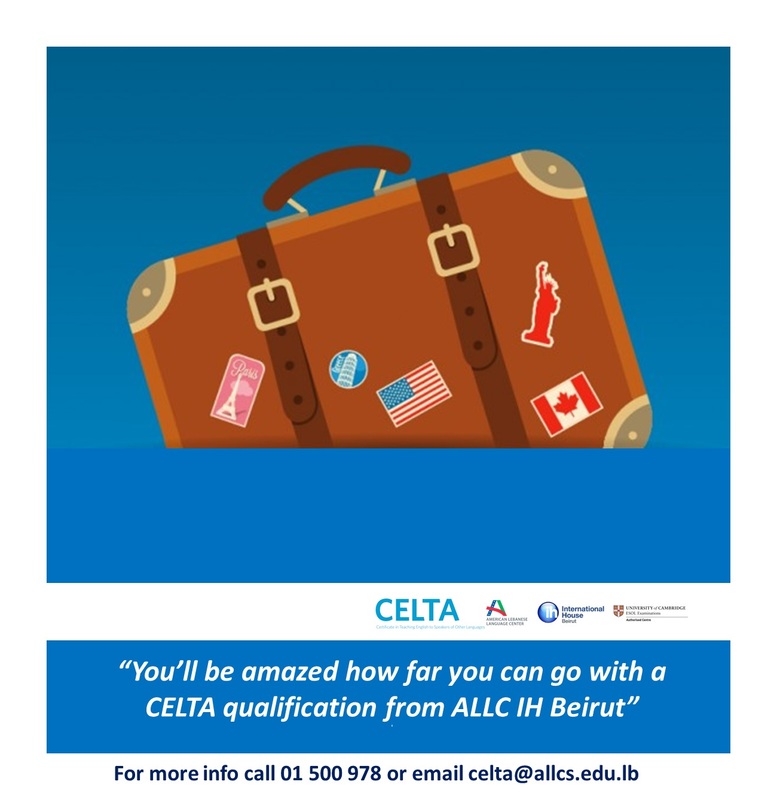 Whether you are a new or experienced teacher, a CELTA course at IH Beirut is a perfect next step. International House is the home of the CELTA – the teaching certificate from Cambridge University which gives you the skills and confidence to teach English around the world. Choose from Italian, Spanish, German, Arabic, French, Brazilian Portuguese or Mandarin. With evening courses at your level from beginner to advanced, what could be simpler? Whatever your business’ training needs may be, we have the solution. We offer tailor-made and off the peg training solutions across a wide range of subjects – including English and modern languages, as well as technology and business skills. Our specialist team works with NGOs and other organisations on educational and training projects in Lebanon and beyond. Why not benefit from our wide range of expertise and our depth of experience?